Ponchos are everywhere - but not too many are as elegant and sleek as this one. Plus, you can knit it yourself on circular needles (no seaming!) just in time for fall! 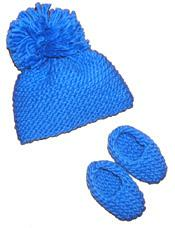 It's knit on big size 11 needles in a beautiful Merino Wool/Acrylic blend yarn. 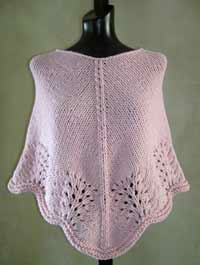 Ideal for intermediate knitters who have a little experience reading patterns and can do basic shaping (e.g. knit 2 together; slip 1, knit 1, pass slipped stitch over). Although, any ambitious advanced beginner can have a go at it since the pattern is written with minimal abbreviations and a review of all the techniques needed. Pattern written for sizes Small (32-34" busts), Medium (36-38" busts) and Large (40-46" busts). Uses size 11 circular needles (32" length).